Molecular Advantage Oil and Grease were born in California, from a background in high-tech product development and appreciation for fine mechanical systems. Like guns. My name is Ben Clarke and for the last 15 years I've been involved in the development of specialty lubricants for the highly technical and demanding aerospace and semiconductor industries. Lubricant failure in either of these applications could be catastrophic, so rigorous research, development, and testing is always required before a new lubricant is released for production. This is the background I bring to the development of the Molecular Advantage (MOA) line of oils, greases, and solvents. I’m also a firearms enthusiast and really enjoy shooting guns. The engineering that goes into the design of firearms is fascinating to me. 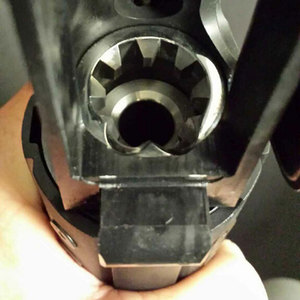 Like any mechanical system, when a firearm is properly lubricated, it should work without failure. But I was experiencing failure in my own guns, even though I kept them well maintained. I tried many different gun lubricants. Their failure points varied somewhat, but they all failed. Even worse, they changed composition over time and became something I didn’t want in my gun. I knew that I could create something better, and I set out to do just that. I created a gun lubricant that doesn't burn, smell, or change chemical structure in any way other than a slight thinning in viscosity as temperature rises. The chemical composition of Molecular Advantage oil and grease is completely different from the dinosaur oil used in today’s gun lubricants. 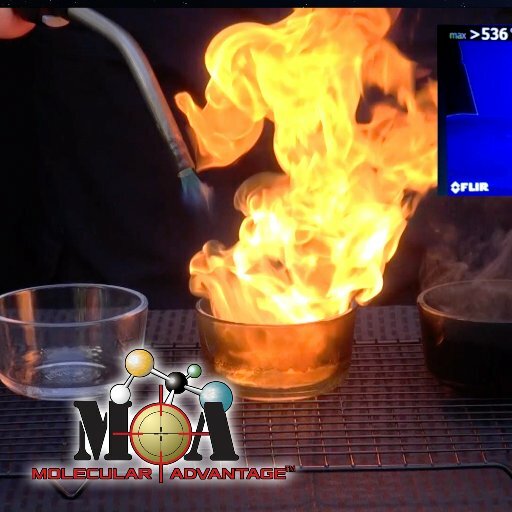 MOA is created in a high tech lab, and has a strength you will not find in any other gun oil product on the market today. We tested MOA against more than 15 popular gun lubricants at high temperature for different periods of time. Every single competitive brand burned, carbonized, or melted. Some burst into flames in our oven leaving a gummy residue or hard carbon in our test containers. They all changed composition and became something quite different from what we started with, and that’s what they do in your gun, too. 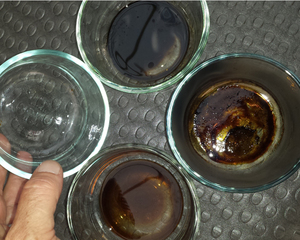 In the same tests, Molecular Advantage oil and grease did not burn, melt or catch fire. Other than a slight change to viscosity, it maintained the chemical properties it started with. It is a reliable lubricant that you can use with confidence, knowing it will keep your gun’s mechanical system working the way it was designed to work, when you need it most. The first time you use Molecular Advantage it will invade the pores of your gun and push out carbon deposits and debris, enemies of mechanical systems. A lot of lubricants claim to do the same thing, and they do for a short time, but the primary difference is that they quickly change molecular composition under high temperatures and pressures and turn into a destroyed substance that will entrench itself into your gun metal. That doesn't happen with Molecular Advantage. When properly applied, the base layer of MOA enhances the metal and creates a smooth surface while the upper layer lubricates and entraps the carbon and other debris. When you clean your gun all you'll need to do is wipe off the debris filled layer and add another new lubricant layer. It’s that simple. Read the testimonials of other gun enthusiasts. Try it for yourself. If you are not completely satisfied, I will refund your money. Screenshot from the famous MOA burn test. MOA doesn't burn, doesn't freeze, doesn't change! No hype, just science! Results of high temperature testing of popular gun lubricants in lab ovens. Only Molecular Advantage (left) maintained its original chemical properties. This is the bolt carrier of an AR10, made by JP Rifles, after 275 rounds fired, and two minutes of cleaning with Molecular Advantage.